WELCOME TO THE MONTGOMERY COUNTY FOUNDATION, INC.
NYA'S SMILE FUND FOR CHILDREN WITH AUTISM - The Fund will focus on ensuring families have the support and education to understand their rights for their child's success. Crawford Memorial Fund - The Fund supports Crawford Park in Norristown, a public park. The Susan K. Howard and Gene R. Frank Donor Advised Fund. The Foundation thanks the new Legacy Donors who have established gifts to achieve their philanthropic goals through Funds here at the Foundation. So many in our community yearn to make a difference. Hundreds of non-profit organizations carry out programs to meet the endless needs in our community while donors like Dr. Booker help support these programs. The Montgomery County Foundation provides the link through which the desire to make a difference becomes a reality, for both the non-profit organizations and donors. Ability to make timely gifts without the time consuming and costly administrative issues. For information on donor advised funds, or to make a contribution to the Rashida Edem Booker Memorial Fund, please call the Montgomery County Foundation at 484-532-7387. Rashida was always fighting the odds. At birth, she weighed only 3.5 pounds and spent the first month of her life in intensive care. At age 13, doctors discovered that she was born with only one kidney, which was smaller than normal. A renal transplant was successful, but dialysis became a part of her life. 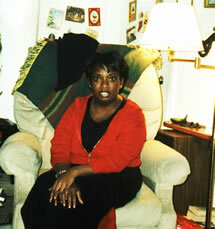 Because of osteoporosis as a result of dialysis treatments, Rashida was only 4’10’’ when she died at age twenty-six. Although her dream to become a teacher was never realized, she never stopped pursuing that goal. Because of her health problems, Rashida was in her 20’s when she earned her high school diploma. She was still a student of Early Childhood Education at Community College of Philadelphia when she died. 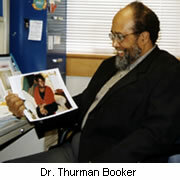 Rashida’s Father, Dr. Thurman Booker, was determined that, somehow, Rashida’s dream and her name would live on. In June of 2003, using the funds he had put aside for Rashida’s education, Dr. Booker established the Rashida Edem Booker Memorial Donor Advised Fund. Established through the Montgomery County Foundation, the purpose of the Memorial Fund is to help sustain programs that provide early education to youngsters who have learning disabilities through a classroom setting or recreation program. “Rashida never allowed her disability to dictate her attitude,” says her father. “She always had a positive outlook. She was a pillar of strength and an inspiration to her family. Through this fund, I want the spirit and courage of my daughter to live on. Will focus on areas of early childhood education that relate to Rashida’s own experiences in some way. Library programs that focus on reading exercises designed to stimulate an appreciation for reading for pre-school children from families who are not able to provide a foundation for future successful education experiences. Please contact the Montgomery County Foundation at 484-532-7387 to make a contribution to this fund.